A few weeks ago a number of developers around C# open source GIS came together when we all visited the MapWindow conference. There were also five contributers to SharpMap, Felix, Gena, Peter, Frank en me. We had the opportunity to meet with some of the MapWindow people like Dan Ames, Paul Meems and Matthew Klein. I think a lot of positive energy came out of it. SharpMap itself has been in an impasse for a while. The SharpMap trunk has been stuck at version 0.9 for years now, even though new functionality was added. At the same time various other versions were in the making. There is now work going on to integrate the various version of SharpMap. The choice was made to focus on the SharpMap trunk. We will try to move the good parts of other branches/versions there. Another step towards integration has been taken by Felix when he replaced SharpMap geometries with NTS. We hope DotSpatial could start to use this same version so we are one step closer. For my own client Mapsui I need support for various platforms like Silverlight, Windows Phone, WinRT and the PixelSense. This won’t change. My approach will be to adapt NTS and parts of SharpMap so that it can be used cross platform, probably by creating Portable Class Library versions. This will be slow process because we will need consent on everything. But at least we are now moving forwards, and moving as a community. How easy is it to combine different tile services in one map? For instance, how easy is it to combine Google Maps aerial photos with a roads overlay from a TMS. Well this depends on two things, 1) how smart is the client, and 2) how compatible are the tile schemas. Here we look at several levels of compatibility taking the TMS specification as an example. Origin: the coordinate where the first tile starts. It is the bottom left corner of tile (0, 0). BoundingBox: the extent in which tiles are available. The BoudingBox’s bottom left coordinate is often identical to the origin but doesn’t have to be. TileSets (levels): a list of the available tile levels and their resolutions. Okay, lets keep this short, sometimes the schema’s are just the same. When the BoundingBox’s are different but the Origin and TileSets are the same a tile in one schema will have the same x ,y and level as it’s corresponding tile in the other schema. 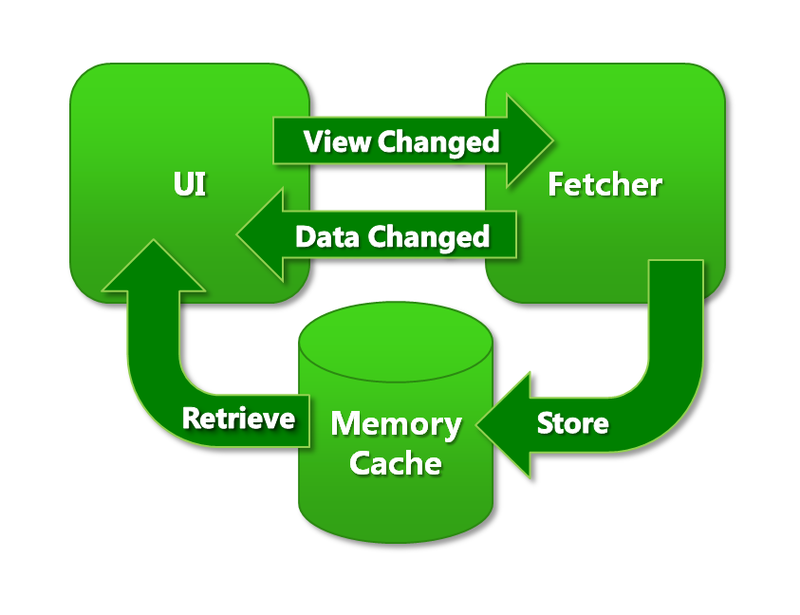 The only difference between the schema’s is that some tiles can be available in one scheme but not in the other. The two schemas can be said to be in the same tile system. If the TileSets are perceived as a Z-axis it forms a kind of three dimensional coordinate system for tiles. The origin of that space is defined by Origin.X, Origin.Y and the resolution of the first TileSet. The steps are defined by the tile width, tile height, the step size between resolutions (which can be irregular to complicate things). When the tile system differs it is sometimes possible to transform a tile in one tile system to the other tile system. For instance when in one schema the Y-Axis is inverted with respect to the other it is easy to see how tile (0, 0) can be mapped to tile (0, count – 1). Such a trick is sometimes used in simple cases. I have not seen it done for more complicated relations. In this case the boundingboxes are the same, but the x, y and level identifiers are not. When the above methods fail because the TileSets are too different it is not possible to project one tile to another but it is still possible to project the tiles to a single map coordinator system, thus combining two totally different tile layers. The downside is that you can not use performance optimizations where you combine tiles of several sources into a single tile. This can cost more memory and may be somewhat slower. Last week Bert Temme released ArcBruTile 0.1.6. 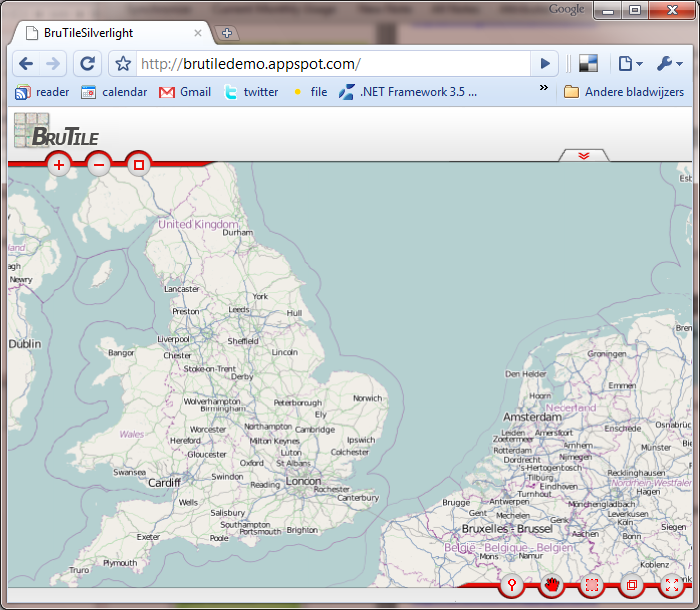 This is a plugin for ArcGIS which uses BruTile to show tile layers in ArcGIS. This allows for an easy way to show openstreetmap data in ArcGIS which became very relevant due to it use in the Haiti crisis. What I like so much about ArcBruTile is that it is connecting OSS to the ESRI/Microsoft world. That was one of the purposes we had in mind when creating BruTile and this is the perfect example. An added bonus is that we can now use the projection capabilities in ArcGIS on our tile layers, something that won’t be possible with our C# OSS tools soon.